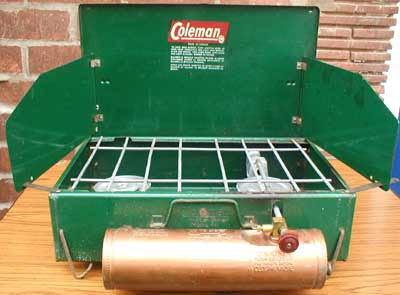 In my arsenal of gear, I have several of those two-burner white gas (naphtha) Coleman stoves. 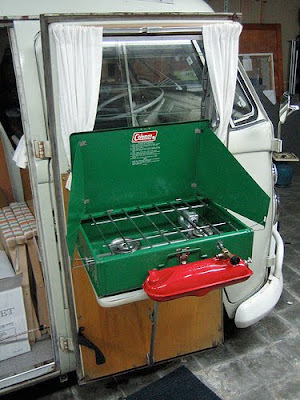 I'm sentimentally fond of the older style with the round brass tank (first picture). 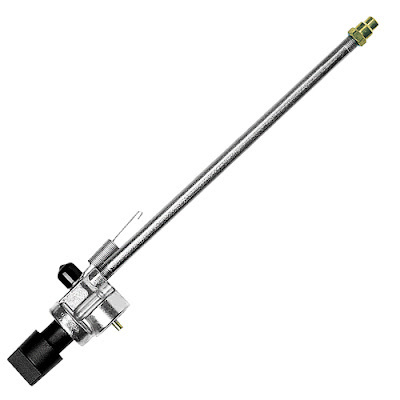 The ones with the cheapish red crimped tank are ok (second picture) but the tanks can leak at the crimp.